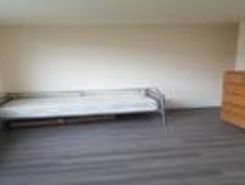 This extremely well proportioned sized room with built in wardrobes is perfect for single working professionals. There is also a large family bathroom. Downstairs the property consists of a large open plan sitting and fitted kitchen. Outside the .